Some time back, The Octant did a handful of suite features, venturing into living spaces to have an in-depth look into the lives of students and staff. Over the next few weeks, we will be looking into the friendships formed in Yale-NUS College: the inseparable, the unexpected, and everything in between. 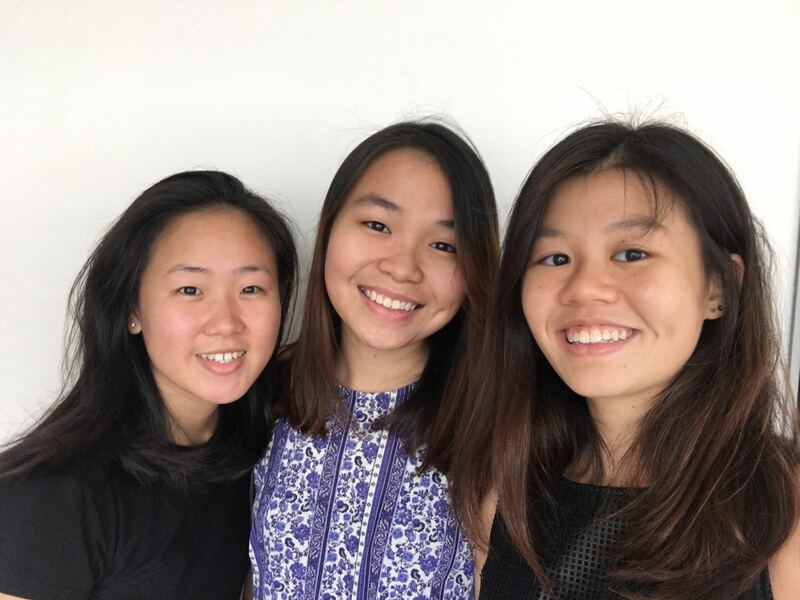 This week we feature Neo Hui Yuan ’19, Sheryl Tey ’19 and Rachel Tan ’19, a sophomore trio who bonded over netball. How did you guys build up your friendship? Rachel: We’re all in netball now. Hui Yuan: Yeah, we commiserated over our problems. Sheryl: But that’s not true actually! That’s not the bulk of it. I know how I bonded with Rachel was over Social Emotional Learning. R: Then we like talked. S: That was the time that I realized that Rachel and I were quite similar in terms of our thinking. R: I guess we talk on WhatsApp, whenever we have problems and random stuff we just update each other. We also meet for meals. Like after trainings we’ll eat together or sometimes randomly we eat breakfast together. Were there particular challenges in your friendship? R: I think the RC [Residential College] difference is tough. When I was at [Experience Yale-NUS Weekend] I met Hui Yuan and I was hoping that we would get into the same RC so we could be friends but it turns out that she and Sheryl went to Elm. H: But the feeling’s mutual; we just didn’t try. H: We’re both just not proactive. S: I always thought that Rachel was quite a cool person. Remember that time I met Rachel in school and I looked at her expectantly and I wanted to say hi but she just looked past me! I was like, this b****. Then I thought that Rachel seems nice, but since she’s in Saga and she has all her other friends, then she wouldn’t want to spend time with us. How do you help each other in times of need? R: I feel like we provide emotional support. H: Okay, it depends. Sheryl is the kind who really needs to talk about her problems, then the two of us will listen and listen and listen. H: The two of us don’t really need to talk about our problems and we don’t want to talk about our problems. R: I do, but maybe less. H: So, yeah we will complement each other in that way. R: Bottom line is, they were my go-to when I felt like I needed help. I was thinking of them; I would want them to help me. Any final advice on how to maintain strong friendships? R: I feel that our fundamentals are quite similar. H: We just have good affinity, which is just something nice and magical that you can’t create.